Advantage FCU makes it easier for you to walk in and out of one of our branches with a new account and debit card ready to use! ALL DEBIT CARDS ARE MADE ON-SITE! Replace lost or stolen debit cards on the spot at any branch. Purchase Rewards: Through Online Banking, check out the retailers offering cash back for purchases you make every day! 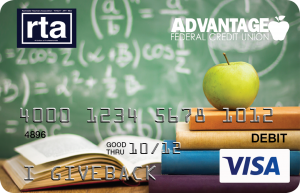 The Advantage FCU Debit Card gives you great flexibility and is packed with perks! All while giving back towards an affiliate charity in Rochester. 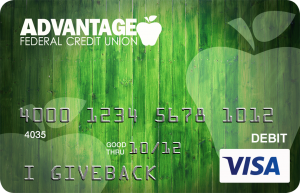 Every time you use one of our Give Back Debit Cards, Advantage FCU will donate a portion of their profits to the associated charity! Rochester Teachers Association: Donates to the Peter Castle Memorial Scholarship Fund. 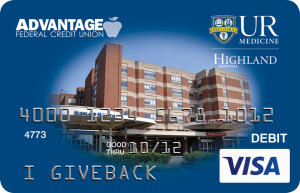 Highland Hospital: Donates to the Friends of Highland Hospital. 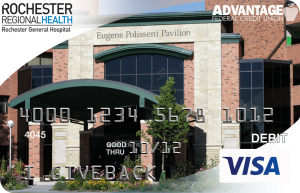 Rochester General Health System: Donates to the RGH’s Youth Apprenticeship Program. 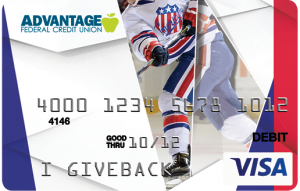 Rochester Amerks: Donates to the Villa of Hope. 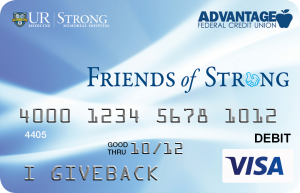 Friends of Strong: Donates to Friends of Strong to support patient and family-centered care initiatives at Strong Hospital. 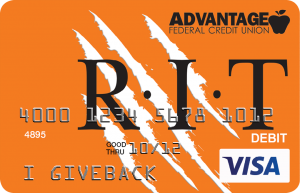 Rochester Institute of Technology: Donates to the Margaret’s House Child Care at RIT. 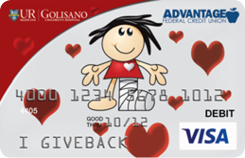 Golisano Children’s Hospital: Donates to the Golisano Children’s Hospital.